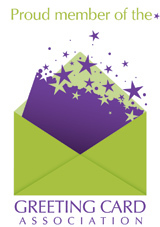 Inside Reads: Fetch Yourself A Happy Birthday! 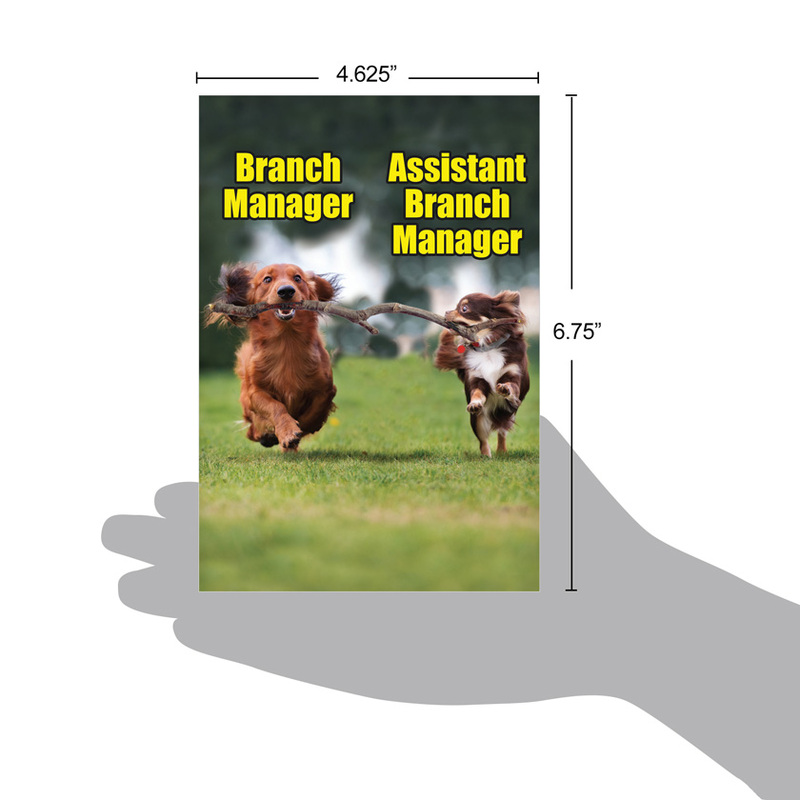 These very good doggos brilliantly demonstrate office politics in an instantly recognizable way. Except, we're wondering if the titles are reversed, because it seems like the assistants are the ones doing all the work, while the managers get the bigger paychecks and accolades. A manager must have designed this card. 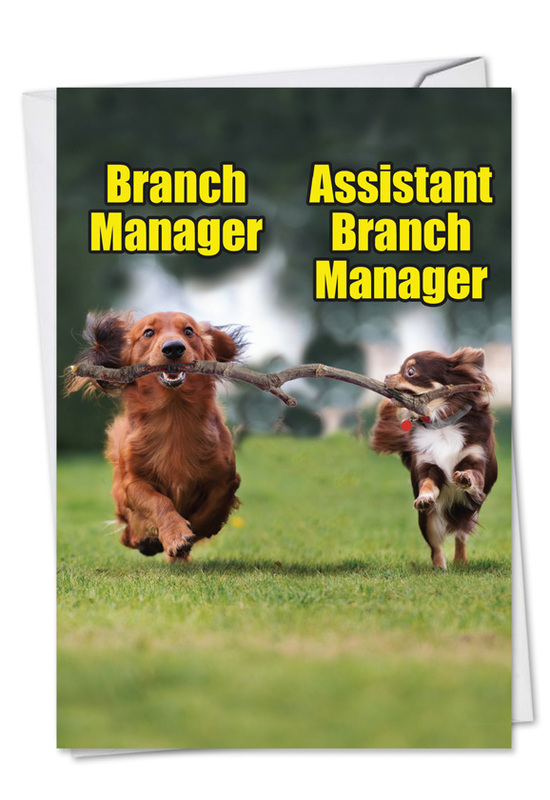 Fresh from our PetiGreet line of funny birthday cards for guys and gals who love four-legged friends, the Branch Managers Birthday Joke Card is fit for busy executives and hard-working employees alike, a birthday card everyone can bite into. 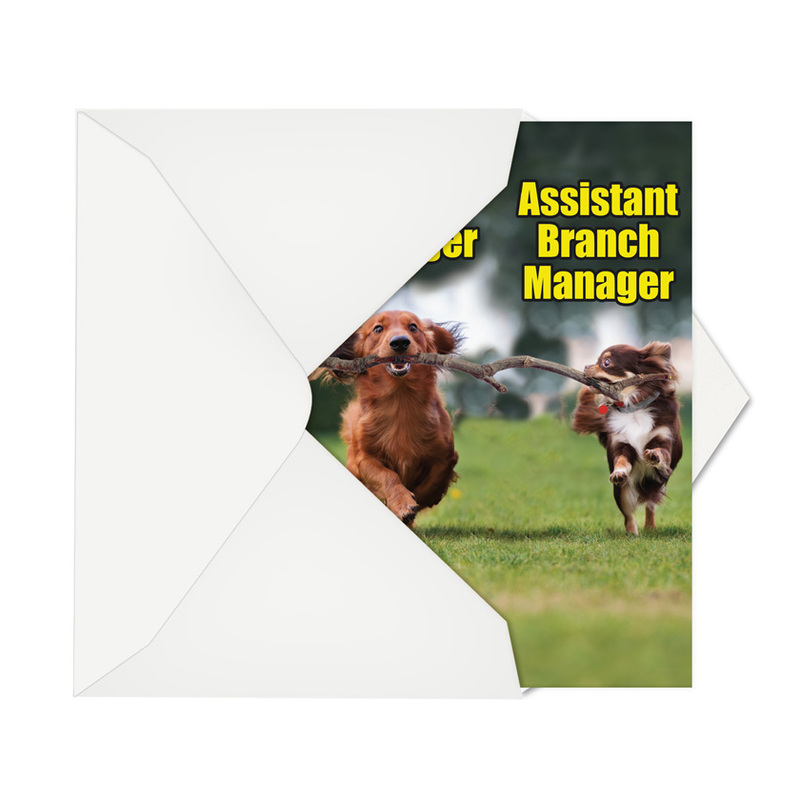 Featuring two frolicking dogs fetching the same piece of wood, this green grass, mutt-mischievous, word-playful card represents a cute, colorful and humorous way of throwing out a 'Happy Birthday!' 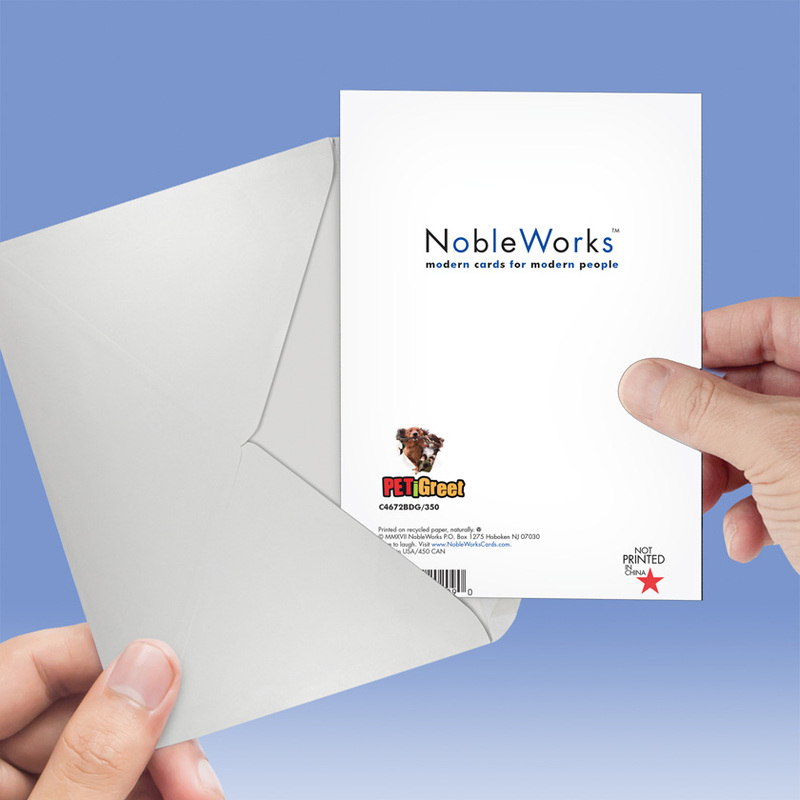 greeting that's perfect for any office party or birthday celebration. 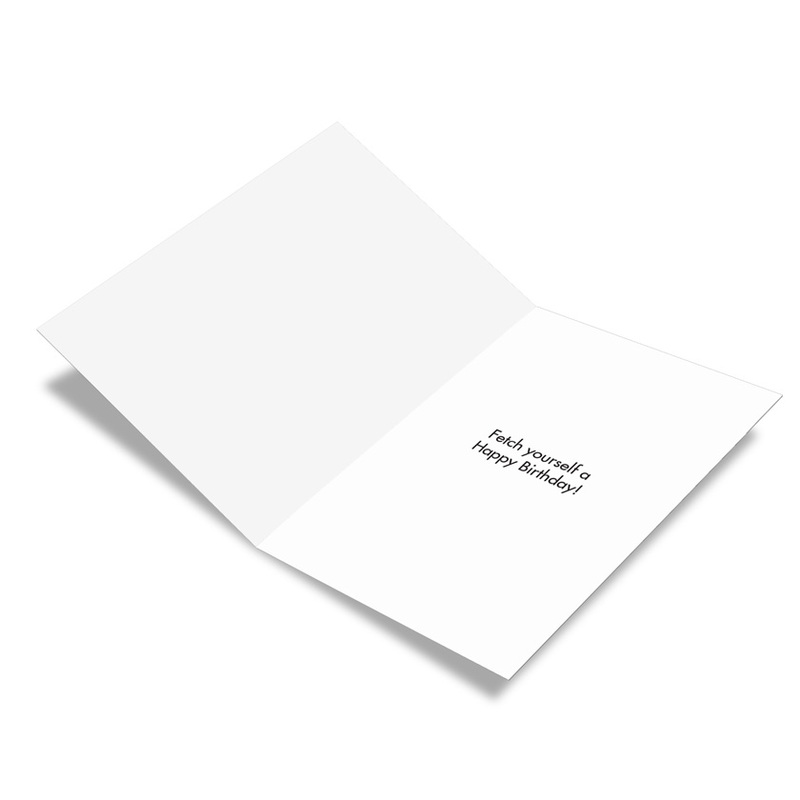 When you order in bulk, the per-card price lowers, so stock up for the next few months' worth of birthdays.